When an (exo)planet passes in between us and its star, it blocks some of the light travelling from its star to us. When it then travels out of our line of sight, the star regains its original brightness. This phenomenon makes the star appear to “twinkle”. As we’ve already gone over in this blog, these twinkling stars can be used to spot exoplanets. But for our mission, we want to do something slightly different: we want to understand what these exoplanets are made of. The best way to do this is by analysing their atmospheres, which contain markers of the planet’s composition, history and evolution. While a planet blocks the light from its star, a planet’s atmosphere filters it. The starlight coming to us through an atmosphere has to travel though clouds and various molecules. When the light shines on molecules it cause them to resonate, or vibrate. Each compound or molecule resonates at different frequencies depending on what atoms it is made up from, and how these atoms are bonded together. Most importantly, each and every molecule resonates most with specific frequencies that correspond to particular wavelengths. Molecules preferentially absorb certain wavelengths from the incoming light and re-emit radiation at others, which means that each molecule creates an individual “spectral signature” of spiky peaks and troughs across the electromagnetic spectrum. The filtered starlight then travels through space, and eventually reaches our Twinkle satellite. Inside Twinkle is an instrument that splits up the starlight into its constituent parts (think of it like the cover of Pink Floyd’s ‘Dark Side of the Moon’, where a beam of white light is split into a rainbow). But as well as the violet-red we see in a rainbow of visible light, Twinkle will be able to see infrared ‘colours’ too. 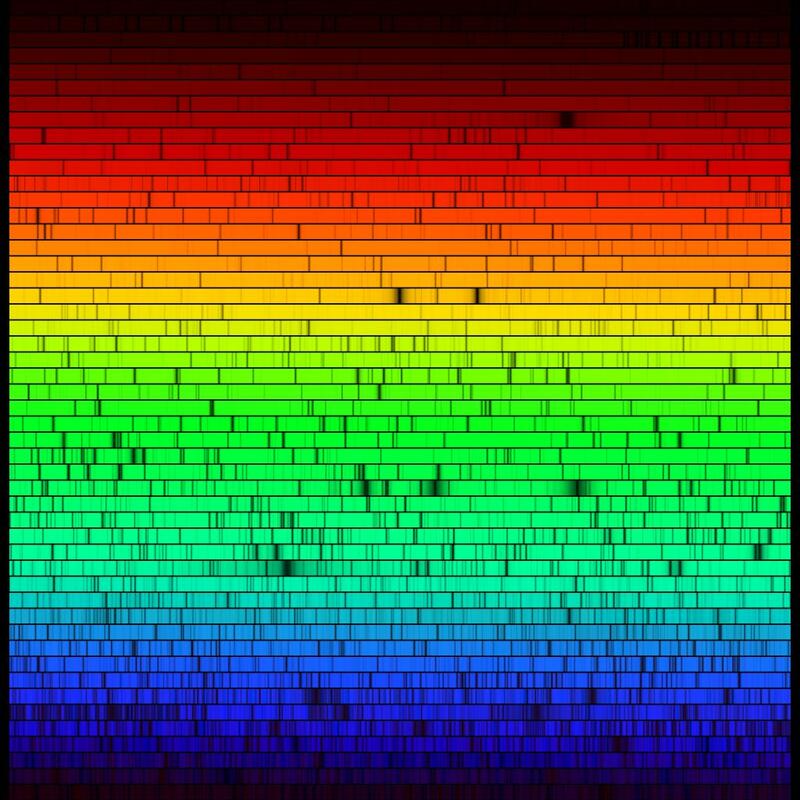 Varying intensity of these ‘colours’ tell us which spectral signatures are present – and, therefore, what a planet’s atmosphere is composed of. The shape of the spectrum (above) indicates that water, methane and phosphine are present, and how much of each molecule is present. This example shows what Twinkle might find in starlight filtered through the atmosphere of a gas giant exoplanet, like Jupiter. We will obtain a spectrum for every planet we observe with Twinkle. We will focus on the hottest, brightest exoplanets already known to us (big, Jupiter-like planets orbiting close to their star), but we will also observe a sample of cooler super-Earth planets. We expect every planet to give us a different and unique result, reflecting its history, formation conditions and interactions with other objects in its solar system. We will be able to see whether there are clouds and what they’re made of. Perhaps we will even see the indications that we might be able to breathe the air on one of these far away planets! Twinkle will be able to tell a lot about these of exoplanets, just by by looking at the light from twinkling stars.